Air Animal has great relationships with our clients and airline carriers around the globe. Our family-owned pet relocation service was founded in 1977 in Tampa, Florida, by Dr. Walter Woolf, a licensed veterinarian. We have grown into one of the most comprehensive and well-respected pet shipping companies in the U.S.
As an IATA air cargo agency endorsed and appointed by more than 225 airlines, Air Animal is your top choice for moving your pet. We set the bar for corporate relocation pet move standards and received the 2014 Impact Award from CARTUS corporate relocation as a result. Learn more on our news page. Air Animal has coordinated more pet moves with airlines to more destinations than any other animal transportation service in the U.S. In fact, we've safely moved more than 100,000 animals since we opened 40 years ago. 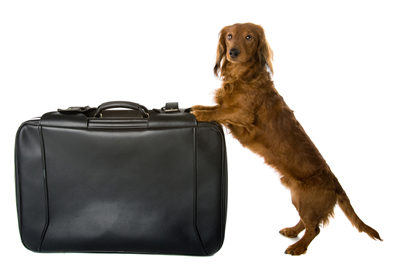 Whether your pet is a first time flyer or an experienced traveler, Air Animal's pet moving specialists provide individual attention. Our pet moving specialists are pet owners themselves. They know all the ever-changing requirements of the destinations they manage. Our specialists create a custom itinerary that details every step for each animal move. You're never more than a phone call or email away from someone who knows exactly what is needed to safely fly your pet to another location. Air Animal provides nationwide and worldwide pet moving solutions and logistics for relocating families. We offer VIP and economical pet moving options using commercial airlines and their live animal moving services. Estimates are based on the pre-flight and post-flight services provided by Air Animal's experienced move coordinators. We offer a range of options to fit your pet's needs and your budget. Higher service levels have higher price points. Please bear in mind that pet moving costs are frequently classified as income tax deductions when moving for job-related reasons.